Synopsis: This book was written for beginning and intermediate bridge classes. My students dubbed me "the King of Hearts" and recommended I write a book about "simple minded bridge." This is it. This book is about Contract Bridge with an introduction to Duplicate. The Duplicate sections ends with, "All you need to play Duplicate is a PhD in Simple Minded Bridge because Duplicate is Simple Minded Bridge Piled Higher and Deeper." Bridge is a simple game that has been complicated by special conventions, contrivances and gimmicks. This book teaches bridge in a way a third grader can understand. 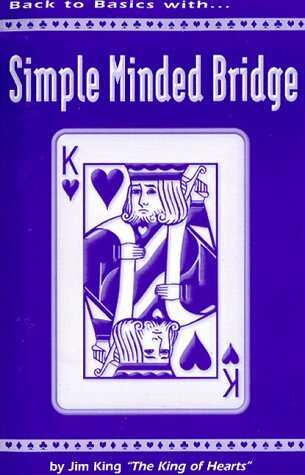 If you can count to 40 you will understand this book and learn to be a very good bridge player. Bridge is taught as a "fun" game, not a battle between enemies. There are over 100 practice hands included.